That's right folks.. the one movie the whole lot of us haven't seen (and which was promised to be but never delivered) is going to finally drop on DVD here in the US on March 18th. 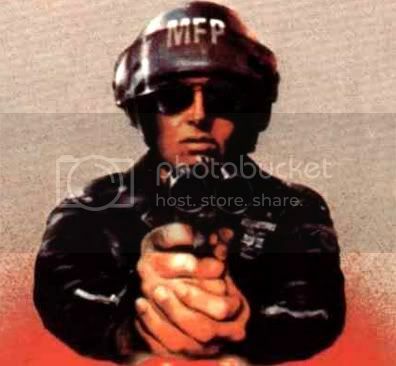 I'm guessing the reason I never got it was because of the poor reviews it received, but don't fear, there's plenty of us that will still watch it, not to mention our own cyberhal. "A group of young people, called Foragers, fight to survive against a band of vicious cannibals, known as Rovers, in a post-apocalyptic world which has been depleted of fossil fuels." Normally I would of waited to put this on our dvd release list next week, but it's worth it's own post. Trailer after the break. Vinnie is God. He used to play soccer for Leeds United and was in Lock, Stock and Two Smoking Barrels. A man of extremes. Amen to that my man. 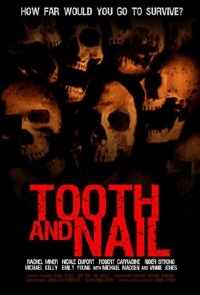 My initial excitment to see Tooth and Nail is still alive and well. Can't wait!